Canstar Blue research finalised in July 2012, published in September 2012. Lucas Papaw Ointment was clearly award winning material, having received top scores in overall customer satisfaction, value for money, ease of dispensing, scent and it’s suitability for sensitive skin. Compare some of the best nappy cream brands with our customer satisfaction ratings to help you combat nappy rash. More than a third of respondents to our recent survey praised nappy cream as a product for “every ailment”. However, our results clearly show that parents weren’t just using it on their babies. While only 15% of customers had used nappy cream on their face (to treat acne, pimples or cold sores), the number of men using the cream was surprisingly higher: 19% of men, compared to just 13% of women. Parents dealing with nappy rash learned to move quickly with nearly half of our respondents regretting not using nappy cream sooner when slight redness quickly erupted into full blown nappy rash. 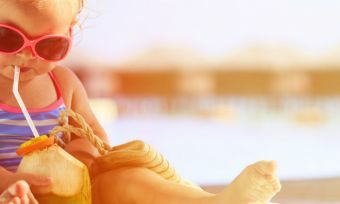 To help parents keep nappy rash at bay, we compared a variety of nappy cream brands in this survey. Lucas Papaw Ointment took out our most satisfied customers award in this category when compared to Sudocrem, Bepanthen, Desitin, Amolin and Curash. Canstar Blue regularly commissions leading independent research specialists Colmar Brunton to survey Australian consumers across a range of categories to measure and track customer satisfaction. These results power Canstar Blue’s Customer Satisfaction Awards in which products and services are rated based on the experiences of consumers who have used them. 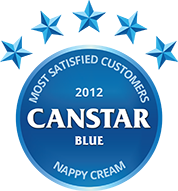 These nappy cream ratings are part of our Parent’s Pick Awards, where we commission Colmar Brunton to survey 1,500 Australian parents aged 18-40 years old with at least one child aged three years and younger to measure and track customer satisfaction over a number of categories. The outcomes reported are the results from parents within the survey group who have purchased nappy cream in the last three months – in this case, 927people. Lucas Papaw Ointment was a crowd favourite, receiving five stars for overall customer satisfaction in our survey. Bepanthen, Desitin and Sudocrem were impressive with four star ratings for customer satisfaction; followed by Amolin and Curash with three. Amolin shared a five star rating with Lucas Papaw Ointment for value for money, followed by four star recipients Sudocrem, Bepanthen and Desitin; and Curash with three. Easy to dispense nappy cream can be handy in a crisis; and Lucas Papaw Ointment, Bepanthen and Curash were all the top of their field in this regard. After our five star victors came Sudocrem and Desitin with four stars each, then Amolin with three. Both Sudocrem and Desitin earned five star ratings for their nappy creams’ thickness. Lucas Papaw Ointment, Bepanthen, Amolin and Curash each received four stars for the thickness of their nappy cream. Five stars went to Desitin for their non-greasy products, followed by Sudocrem and Curash with four. Lucas Papaw Ointment, Bepanthen and Amolin all achieved three star ratings for their products’ non-greasiness. Customers of Sudocrem were most satisfied that their nappy cream product quickly fought back their child’s nappy rash. After the five star recipient came Lucas Papaw Ointment and Bepanthen with four stars each for this criterion; followed by Desitin, Amolin and Curash with three. Two of our rated brands were victorious in this criterion: both Lucas Papaw Ointment and Curash received five stars for scent. Sudocrem, Bepanthen and Amolin received four stars here; followed by three star recipient Desitin. For sensitive behinds, nothing beats our five star recipients for this criterion: Sudocrem and Lucas Papaw Ointment. Bepanthen, Amolin and Curash received four stars each for suitability for sensitive skin; and Desitin followed with three. It's a daunting job for all new parents. So we have put together some simple steps to help you out. 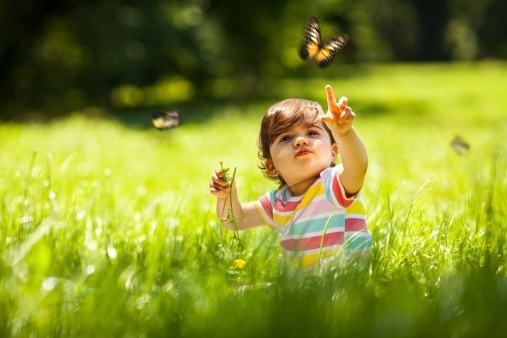 Research shows that parents prefer eco-friendly baby products, but what are they and where can you buy them? Australians say they would be willing to pay for a luxury pram, but what about other types of luxury baby gifts? 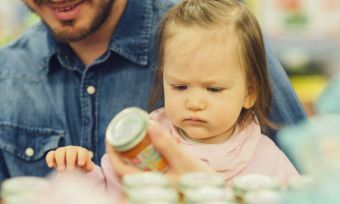 What do parents look for from baby food? We ask our baby food award winner what they are doing to meet the expectations of parents and their little ones.